Everyone always says “you HAVE to go to Kendallville”…and they’re RIGHT! The Northern IndianaBluegrass Association puts on one heck of a festival—and they do it twice a year (Memorial and Labor Day weekends)! I don’t know where to start. First…it’s only a pleasant 2-3 hour drive from SEMI to Kendallville. Truly, this festival is a jewel practically in our own back yard. From the moment I pulled up the NIBA volunteers went out of their way to help me. Even though the festival is a steal at only $25 (with free camping! ), they will give you another $2 discount if you belong to ANY other bluegrass association. There was ample space to park (although, the premier—read “shady”—spots go quickly) and even electric and water hookup for your camper. By Friday night, most of the hookup sites were gone, but campers kept flocking in, setting up on just about every inch of grass! The amenities are pretty good. Plenty of indoor and portable restroom facilities, a “midway” with all kinds of food, snacks and treats and an army of NIBA volunteers drives around in golf carts offering taxi service for free (which was a blessing in the oppressive midday heat). The stage was located centrally, with both open, and covered seating areas (small bleachers, but most “bring their own” chairs). The sound system was small, but impressive. Plenty loud to hear the bands while they played, it didn’t blast all over the campground. A great lineup of local and regional acts provided plenty of opportunity to hear great bluegrass. I particularly liked the Hillbenders' take on modern grass, but was blown away by Michigan’s own Detour Bluegrass who flat out rocked their set and stole the whole show. I saw lots of kids and young families and found the festival very dog friendly as well. Then there’s the picking. From sunup to sundown, there is an unbelievable amount of picking going on. Some of the best picking in the campground was found at what seemed like (and might have been) hundreds of small jams at campsites throughout the festival. From old tyme, to traditional bluegrass, to newgrass, Cajun and gospel grass, it was all there. 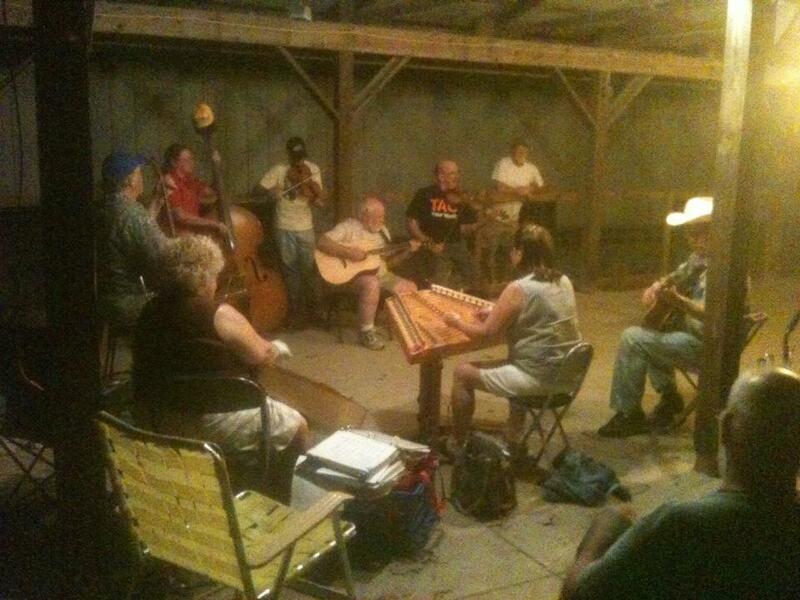 Pickers of all abilities were welcomed with open arms and the jam goes on until almost dawn. Other commitments will keep me from attending the Labor day festival, but I will NEVER miss going to Kendallville again…it is a GREAT festival! (and you should go to). The problem with playing guitar is that, once you’ve bought a couple good guitars, there’s not really that much more to buy: Strings? Picks? A strap? A Capo? Well…for me…lots of capos. Once I figured out that a capo was indispensible in bluegrass jams (Yes…I know I could play bar chords, but I like the open sound, and simplicity of just capoing up to the right key). The problem is…I have large, wide hands that either knock capos out of the way, or simply can’t fit up tight to the capo for those pesky C and F chord shapes. 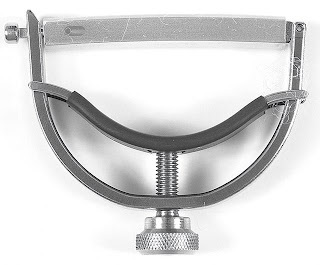 In my search for the right capo, I bought a lot of good capos, each with it’s pros and cons. The old-school elastic capo was slim and stayed out of the way, but just wasn’t durable, and tended to slip out of place. I bought (and still use around the house) a Kyser capo, perfect for quick changes, but it really gets in the way (and seems to pull my guitar more sharp than most). The Shubb worked great if I put it on the guitar upside down, but still wore a sore spot in the lower, meaty part of my hand at jam session. The Paige capos were pretty much ideal (low profile and easy to use/store) but I seemed to constantly knock them loose, causing them to drop to the floor. Then, I found the BMF capo while shopping one day at Elderly Instruments in Lansing. I was intrigued by its rugged design and classic engineering. Although fairly expensive at $99, I sucked it up and bought one...and boy, was I glad I did! It was slim enough to stay out of my way, but rock solid once screwed down. I bought one…and never looked back. As long as you fit the capo right on top of the fret, it does not alter your tuning. Once snugly fit to the neck, it never moves. Made of high quality stainless steel, it is as shiny as the day I got it—even after more than a year of daily use. 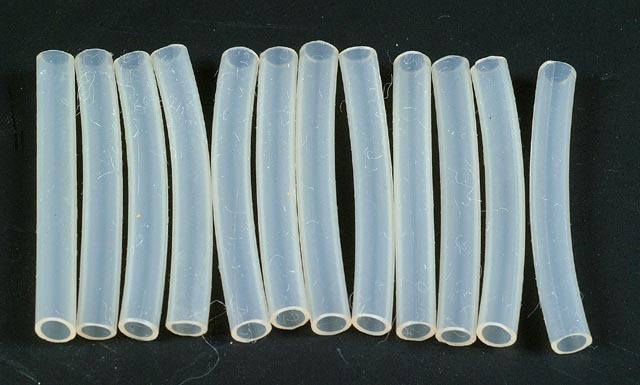 My one complaint was that the plastic sleeve is fairly soft and tends to wear out. Then, one day, lo and behold, Elderly started offering replacement sleeves (and only a buck!). Perfection! I will never use any other capo. Hmm…I wonder if their “B-Style” banjo capo would fit a <Gasp> mandolin! Newcomers to the SeMiBluegrass scene, the Waynewood boys have proven resourceful as seeking out cool, funky places to play live bluegrass. This group of cool, laid back dudes has a great groove and are a lot of fun to see live. Check out their upcoming gigs. 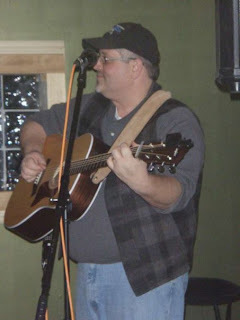 Come on down to Skipper's Hamtown Bar this Friday, June 22 at 9 PM. Skipper offers a great selection of exotic brews and a cozy Hamtown atmosphere. And the boys will be playing their mix of bluegrass standards and grassed-up classic country and rock favorites. A great band on their own, the Steep Canyon Rangers have gained a good bit of notoriety as Steve Martin's (yes...THAT Steve Martin) backup band. These guys are so much more than professional sidemen. In fact, their album Lovin' Pretty Women was the very first bluegrass CD I bought (Yes, I'm pretty new to the genre). A fairly traditional act (down to the suits and ties they wear on stage and there preference for the "1-mic") they are among the most entertaining live acts I have seen. After blowing my socks off at a show in Royal Oak a few years ago, I was excited to see them (sans Steve) when they played the Ark in March. I originally bought two tickets and was going to take my Dad to the show. 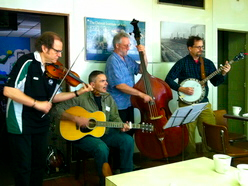 He loves bluegrass harmony, and these guys do it as well as any. However, a quick trip to the ER and a cardiac catheter the day before changed those plans at the last minute. As usual, I arrived early at the Ark and was first in line (I like to sit right in front of the stage whenever I can). I met a young couple in line who were talking about a friend who really wanted to see the show. I had and extra ticket....ended up making some new friends and really enjoying the show! They guys in the band did not disappoint. They played a good mix of old songs and material off their new album, both noticably showing the "tarnish" that 100s of shows on the road brings to a song. 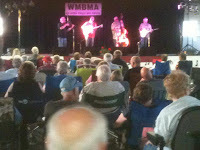 I love their stage presence and who couldn't be mesmerized by the crazy fiddle stylings of Nicky Sanders? However, the memorable tune of the night was actually a song they co-wrote withSteve Martin --Me and Paul Revere (that would have bugged my Dad--It should be "Paul Revere and I"). 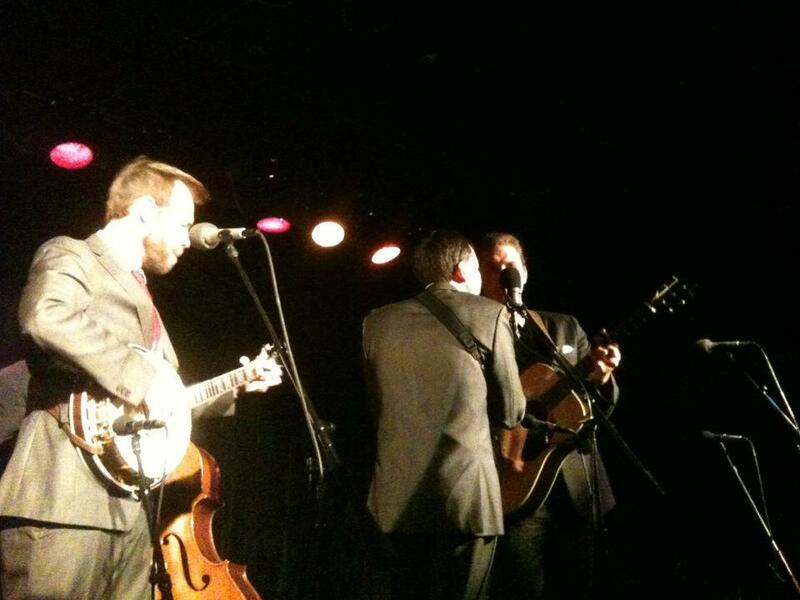 Great story, outstanding harmonies, and some killer licks...everything I want in a bluegrass show. I never dislike shows at the Ark, but this one was definitely one of the best I've seen. I would highly recommend you catch the Rangers (with our without Steve) the next time they're in town. 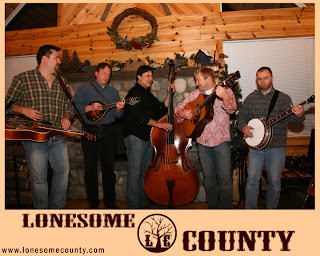 Lonesome County has been around for over a decade in various forms. The current lineup features features the hard driving rhythm and killer licks of band leader Chad Jeremy coupled with the songwriting and musical virtuoso of Ann Arbor music legend David Mosher. While Chad and David handle most of the vocal duties, Bill Arnold on Dobro, Ingo Mucha on banjo and Les Miller on the upright bass fill out the sound and provide the groove that drives the vocals into the stratosphere. On the surface, they appear to be just another traditional, hard-driving bluegrass band, ready to take the stage with lightning fast instrumentals and killer 3-part harmonies laid over bluegrass standards. But they are more...so much more. Every member of the group is a master of their instrument, ready to jump in and put their unique spin on every break. It's hard to say who might be the standout musician...they all are! However, it is when they play their original material that this group really shines. 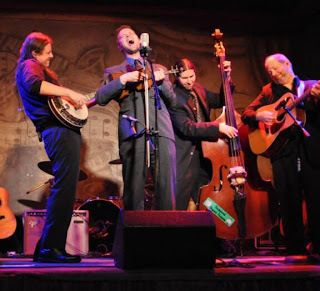 From Chad's traditional yet poignant mastery of the traditional bluegrass ballad, to David's playful takes on the "hippygrass" style, their original material never fails to grab the audience's attention (and often gets them on the dance floor). Whether it's a concert-style show at the Ark or a bar-gig at the Circus, try to catch Lonesome County next time they play. You will not be disappointed. I must admit to a love/hate relationship with this festival. The bands are OK, the venue is acceptable and the parking lot picking is so-so, yet I always seem to have a great time. The West Michigan Bluegrass Association hosts a twice-yearly (May and September) festival on the Kent County Fairgrounds just east of Grand Rapids. The festival features many local acts, a national headliner (Volume Five this spring) and the ever-popular "band scramble". 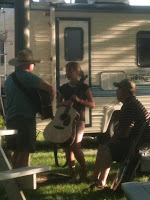 Various workshops are offered (guitar, mandolin, fiddle, banjo, etc.) 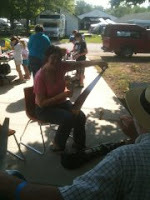 as well as kids activities and a few specialty workshops (who knew musical saws were so much fun!). There are even various craft and service vendors set up by the stage (but oddly, no vendor stocked musical gear and equipment--a bummer since I lost my capo and would have bought another). The fairgrounds are very neat and clean, but do suffer from a distinct lack of shade. There are both PortaPotty and indoor bathroom/shower facilities available. The food vendors are excellent. Camping is very reasonable, although electric and water hookups are questionable at best. 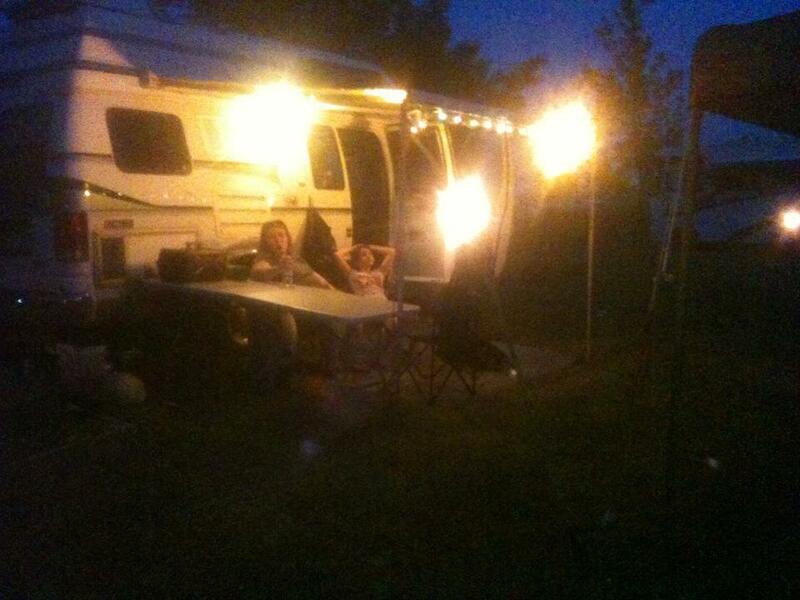 With a "park where you want" system in place, there are many small "encampments" of festival goers. In the past, weather has apparently been an issue, so the concert portion of the festival was held inside one of the "barns" onsite. While offering protection from the weather, the cavernous sound and oppressive indoor heat did detract significantly from the experience. However, like all good festivals, the best music is not on stage, it's around the campfires, and this festival was no different. 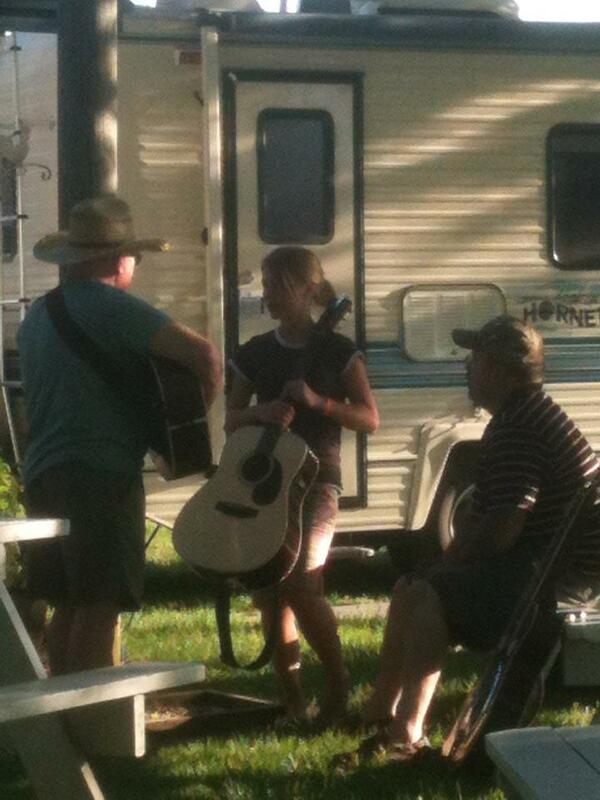 As the sun began to set and the outside temperature became tolerable, out came the instruments and the picking began. From all-ages/all abilities slow jams, to red-hot, high-octane picking there was something for everyone. If you have your instrument with you as you walked around--be prepared to join in and contribute a song when it's your turn. I found these festival goers to be exceptionally open and inviting. Overall, I found this festival well organized, affordable and fun for the whole family. While not as large as most of the summer festivals, it is definitely worth the trip. Hot Venue for Cool Grass? I love this venue and have caught some killer acts there. It meets all my "cool, funky bar" criteria: art on the walls, PBR on tab, live music, no cover and loud, active crowds into the music. Who couldn't love a bar with a stuffed lion jumping out of the wall under the Big Top tent over the bar! Located upstairs above the Cavern Club / Blind Pig in Ann Arbor, information about upcoming shows is nearly impossible to locate unless you know how to navigate their quirky, information rich website (or...click the link in the title above!). It Can't Be THAT Good--Can It? OK. There's a lot of hype out there about a lot of things, and the actual products rarely live up to the exaggerated claims made in an attempt to sell them. Most pick manufacturers claim their product will 1) sound better 2) be smoother off the strings and 3) last longer than a "traditional pick"...and you are lucky if even one of these is true. However, the manufacturer of Blue Chip Picks has done the seemingly impossible and delivered on all three. I was initially hesitant to spend the premium price ($35 plus shipping!) for these picks, but kept hearing from all my friends how unbelievable they were, so I ponied up the cash for a standard "teardrop" guitar pic and a "tri-tip" mandolin pick. Wow! They actually live up to the hype! 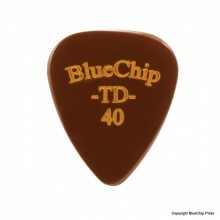 The tone they deliver is silky smooth, rounded and deeply resonant with minimal pick noise. 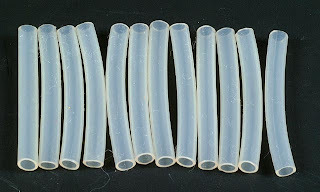 They are polished to a smooth finish and really slide off the strings making them super-fast. Best of all, they are nearly indestructible. I've been playing the TP every day for over a year and it looks just like the day I got it! No discernible wear of any kind other than some very faint surface scratches. Even the engraved logo is sharp and clear. I used to buy a dozen Dunlop pics every few months, but haven't bought ANY picks in over a year (so maybe the $35 price tag is actually cheaper in the long run!). That isn't to say that the product is perfect--nothing is. I've already mentioned the steep price tag. Also, the super smooth finish can be slippery and hard to hold onto--especially in hot, sweaty jam sessions (although, the engraved logo does have sharp corners and doubles as a gripping surface). Finally, the medium brown color, which evokes the look of tortoise shell, is nearly impossible to see when dropped in the grass or a dirt parking lot, making the choice of this pick for casual festival / parking lot picking dubious at best. Overall, this is a great product and I recommend it to anyone looking to "trade up" to a premium pick. And to answer the question in the title..."Yes! Yes it can!" Welcome Pickers and Bluegrass Fans! It's tough being a bluegrass lover in Southeast Michigan. Sure, there's a "scene" out there...but it's hard to find if you're just starting out. Bluegrass isn't just for our parents and grandparents anymore. 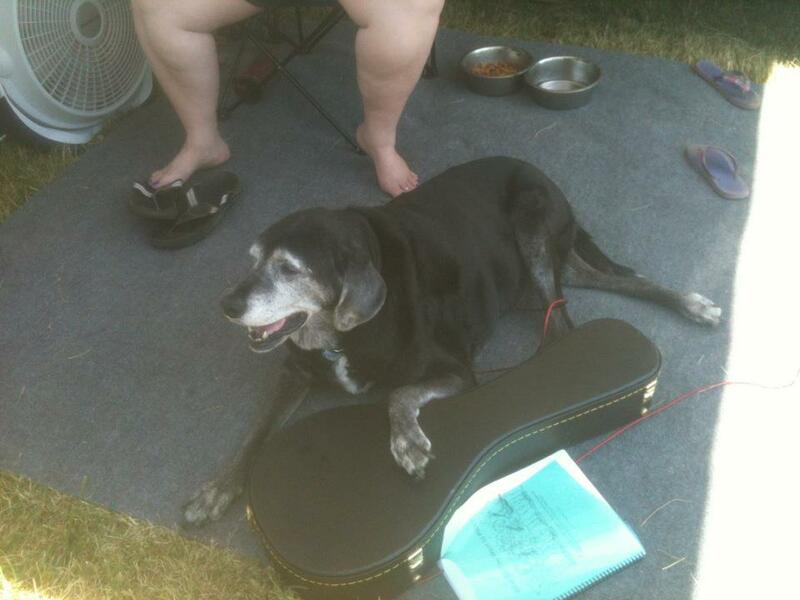 The acoustic music revival we are in the middle of has spawned fans of all ages and all walks of life. All of them are looking for information and trying to connect with others who share their passion. Unfortunately, there just isn't much information readily available Therefore, I've started this blog as a place where like minded individuals can swap ideas, share information and find out what's going on in bluegrass from Lansing to Detroit and from Flint to Toledo. While I can post my own experiences, the real staying power of this blog will depend on contributions from you--the reader. Whether its a product review, a description of an upcoming event, an article about a band you just saw or even a brief description of a festival, show or concert you attended...share it here so others may benefit. Email submissions to: semibluegrass@gmail.com. Do you remember the first time YOU played in front of someone else?